Here’s another luscious recipe from the New Idea Wicked Chocolate pullout. The cake looks good, but the truffles look even better. 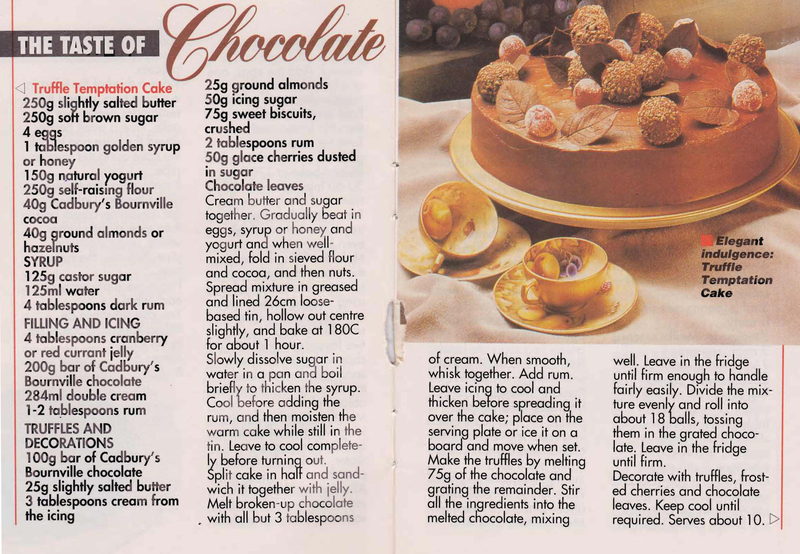 This entry was posted in All Recipes, Desserts and tagged 1980s, chocolate cake, chocolate truffles, truffle temptation cake by bebsrecipes. Bookmark the permalink.